Clarence Leroy “Lee” Van Cleef, Jr. (January 9, 1925 – December 16, 1989), was an American actor whose sinister features overshadowed his acting skills and typecast him as a minor villain for a decade before he achieved stardom in Spaghetti Westerns such as Sergio Leone’s The Good, the Bad and the Ugly. Hatchet-faced with piercing eyes, he declined to have his hook nose altered to play a sympathetic character in his film debut, High Noon, and was relegated to a non-speaking outlaw as a result. Van Cleef also starred as minor villains and henchmen in various westerns, including The Tin Star and John Sturges’ Gunfight at the O.K. Corral. Van Cleef had suffered serious injuries in a car crash, and had begun to lose interest. In 1965, his career underwent a dramatic change when Sergio Leone cast Van Cleef, whose career was still waning, as one of the two protagonists, alongside Clint Eastwood, in For a Few Dollars More. The film made him a box-office draw, especially in Europe. Leone then chose Van Cleef to appear again with Eastwood, this time as the primary villain Angel Eyes, in the now seminal western The Good, the Bad and the Ugly (1966). 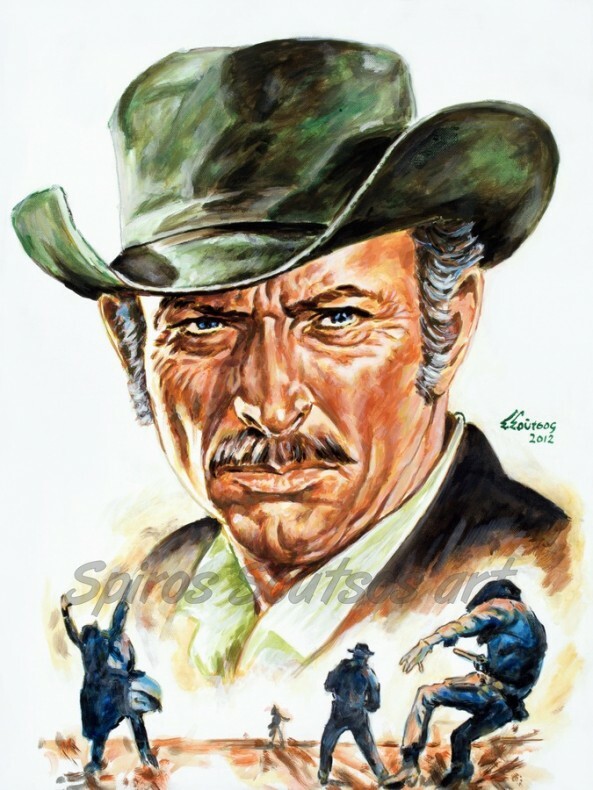 With his roles in Leone’s films, Van Cleef became a major star of Spaghetti Westerns, playing central, and often surprisingly heroic, roles in films such as Death Rides a Horse, Day of Anger, The Big Gundown, The Sabata Trilogy, and The Grand Duel. He co-starred with Jim Brown in an Italian-American co-production, 1975’s Take a Hard Ride. Lee Van Cleef would later have a supporting role in John Carpenter’s cult film Escape from New York (1981).